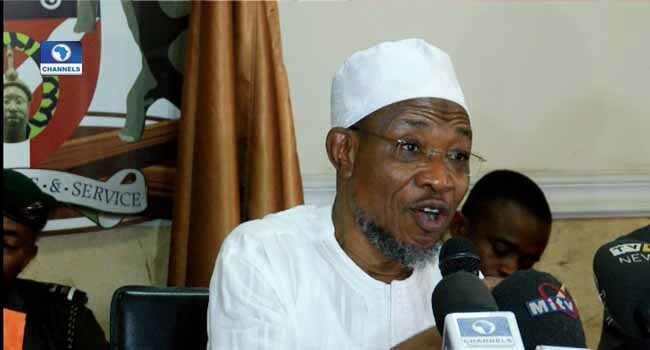 The Osun State government has approved confirmation, promotion, and conversion of workers in the state. This was stated by Head of Service in the state, Festus Oyebade, who added that all embargo placed on establishments matters such as conversion, advancement, promotion, and confirmation has been lifted as approved by the Governor Rauf Aregbesola. The approval is in honour of the agreement reached with the Labour Unions in the state on December 30, 2017. Oyebade in a circular referenced SMD 304/11 and dated May 2, a copy of which was made available to Channels Television on Thursday, explained that the embargo was placed then as a result of the harsh economic situation of the country. He added that the ban was to manage the meager financial resources of the state and as well reduce the severe effect of the economic recession as at then on the state. Besides the approval of the promotion, conversion, and confirmation of the workers, Oyebade said the governor also paid the salary for the month of December last year, paying leave bonuses and gratuity and pension for the retires on both the old and Contributory Pension Scheme as agreed. “In a demonstration of his workers-friendly disposition, Governor Aregbesola in his May Day Speech pronounced immediate lifting of the embargo on promotion and career progression of the workers across the state. “Consequently, workers will now be confirmed, converted, promoted and moved to the next level as at when due. It should be noted that such confirmation, conversion, and promotion have nominal effects only while the approval excludes multiple advancements from junior to senior cadres. “Appropriate agencies of the state government namely; Civil Service Commission, Local Government Service Commission, Teachers Establishments and Pension Office, Tertiary Institutions and others are hereby requested to swing into action by putting necessary machinery in motion towards the implementation of the directive,” the statement read in part.